Working as a truck driver in Nevada has a multitude of opportunities. There are a large number of companies within the state looking for drivers. While most companies are based in Las Vegas, there are still a lot of companies that can be found in any Nevada city. To take advantage of truck driving careers in this state, you must have a Commercial Driver’s License. You must be at least 18 years old to get a state driver’s license. If you plan on driving interstate, then you must be at least 21 years old. It is also a prerequisite that anyone applying for a CDL must be physically fit. That is why all applicants must undergo a physical exam to get a DOT medical certificate. Applicants will also be required to provide supplemental documents such as Social Security Card, birth certificate, passport, and other documents. Applicants who are able to meet all the requirements may take the written knowledge exams. The best way of preparing for this exam is by reading the Nevada CDL Manual, which is available at any local DMV office. The manual contains important information regarding the written exam and driving skill test. A temporary learner’s permit will be issued upon passing the written exam. This will allow an applicant to practice driving a truck under the supervision of a licensed driver. Before the permit’s expiration, the applicant should be able to take the driving test, which will be administered at the local DMV office. This test will consist of pre-trip inspection, basic driving skills, and actual on-road driving. Applicants are required to pass all three parts in order to receive a CDL. If an applicant fails any of the tests, he/she will have to start again from the beginning. The American Institute of Trucking (AIT) is dedicated to training individuals to be safe and professional truck drivers. The AIT is accredited by the American Commission of Career Schools and Colleges with an A+ rating with the Better Business Bureau. AIT has trained truck drivers since its establishment 20 years ago. Today, it is located in Phoenix, Las Vegas, and Denver. To submit a CDL school for inclusion on this page you can use our contact form. Listings must include the name of the business, address and phone number. A CDL in Nevada is an important requirement which you must possess before you will be able to work as a truck driver in the state. The state and federal government had imposed changes in the method with which people can apply for commercial driver’s licenses and this has led to a more secure and safe truck driving practice on the road. Although there are no specific requirements for truck driver training, applicants are still tested to pass standard truck driving skills and knowledge. First and foremost, commercial driver’s license applicants in Nevada should be at least 18 years old in order to drive intrastate and 21 years old if they will be driving interstate. They are also required to have a current driver’s license with a clean driving record at least for the past 4 years. 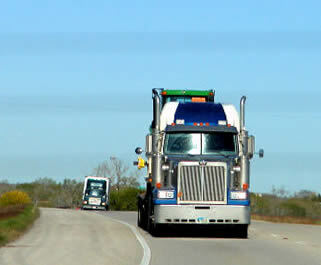 Any conviction for a serious traffic violation may injure your chances of acquiring a CDL. Your license should currently be in good standing and should not be revoked or cancelled for any reason. Otherwise, your application will not proceed until your license had been restored. The best way to prepare for your application is to read the Nevada CDL Manual which is available in your local DMV office. The manual contains all the important information with regards to the written test as well as the driving skills test that will be conducted before you gain your license. Aside from this, you also need to undergo a DOT medical certification and a vision exam in order to apply. This is accomplished only through a DOT accredited medical professional. They are also the ones who have the DOT certification form. The vision exam requires a visual acuity of at least 20/40 in order for you to pass. When you are ready to take the written exam, visit your local DMV office and submit the following: current driver’s license, DOT medical certification, social security number, proof of citizenship or legal residency, valid IDs, and the corresponding application fee. Once you have submitted these, you will be given a written exam which is composed of 70 to 95 items and can be more if you are applying for endorsements. If you pass the exam, you will be provided with a temporary CDL permit where you will be allowed to drive a truck with an individual who has already received their license. Before your permit expires, you should be able to take the driving test which is administered by your local DMV office. You will need to ask for a schedule in order for you to take this test. You have to do this personally as you have to submit your permit, ID, and proof of residence. The test covers pre-trip inspection, basic driving skills, and an on-road test in order to assess your driving skills. It is important that you take this test well-prepared as if you fail any of them, you will be required to start again from the beginning before you will be given a CDL in Nevada. 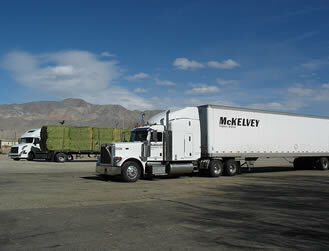 To learn more about receiving truck driving training in NV you can visit this school listing page.